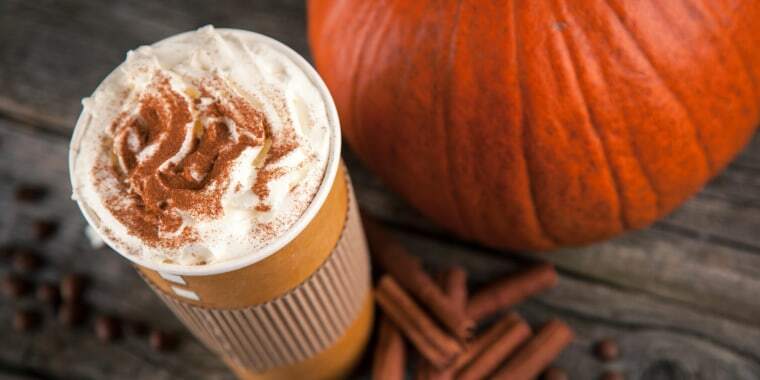 Save calories (and cash) with this easy pumpkin spice latte recipe! A coffee drink so famous it goes by its initials, the Starbucks pumpkin spice latte has a devout following. Like Halloween candy and Christmas decorations, the drink seems to debut earlier and earlier each year. Now that it's fall, those warming, spiced lattes start to look pretty irresistible, but there are downsides to the Starbucks PSL: a grande (without whipped cream) contains 310 calories and nearly 50 grams — about 11 teaspoons — of sugar, more than you'll find in a 16-ounce bottle of soda. We decided to give the pumpkin spice latte a makeover, preserving its cozy, autumnal spiciness while cutting the sugar and unpronounceable ingredients.